Ticket packages are currently available as thank you gifts for a membership donation. The Pacific Harp Project brings their unique sound back the Atherton, with new music and a new CD. This Hawai‘i-based jazz trumpeter celebrates his newest CD titled “Words Cannot Express.” Featuring original songs and covers, all done in an instrumental style. Take a stroll down memory lane through the music and stories that defined an American generation in the 1960's and 70's. A collaboration between Wade Cambern (Hawaiian Style Band) and Tsun-Hui Hung. They blend the evocative sound of the erhu with guitar and voice, blossoming into a new sound fed by ancient roots. An intimate evening of violin music with InterMusic SF violinist Patrick Galvin. Maui-based guitar maker Steve Grimes and longtime musical partner Steve Stusser make their debut in the Atherton Studio. Featuring Nā Hōkū Hanohano award-winning guitarist Larry Dupio, The Chames Gang returns to town to play original songs from Larry’s album, “Lightning Strikes Hilo,” and showcase their classic rock and blues favorites. The “Gang” is comprised of Ian Chames on bass, Scott Shafer on drums, and Mo “Mofessor” McConnell on keyboards…The Chames Gang rides again! Colorado-based guitarist Wayne Wilkinson makes his return to the Atherton with a solo performance of jazz standards interpreted for the guitar. The last time he joined us in the studio, he played side-man to jazz pianist Leonore Raphael. This marks Wayne’s solo debut in the Atherton Studio. The Hawaiian Style Band makes its Atherton Studio debut featuring the original members of the band along with a few friends. They’ll be sharing all their original hits and well-loved songs in a stripped down and mostly acoustic style. The Elevations bring their vintage soul and funk sound to HPR’s Atherton Studio! We challenge everyone in the studio to stay in their seats while The Elevations play a mix of soul and funk classics from the likes of Sharon Jones and the Dap Kings, plus brand new smoking hot originals. Ya dig? Hawai‘i Symphony Orchestra clarinetist Norm Foster shares the stage with pianist Sophia Yan and cellist Joshua Nakazawa. Folk singer/songwriter Gordon Freitas returns to the Atherton studio for his first solo performance with us. Award-winning singer/songwriter Stephen Inglis returns to the Atherton studio for a solo concert featuring all that he does. Featuring traditional Hawaiian, slack key instrumentals, Americana and folk originals, slacking on the Dead, and much more! Japanese shakuhachi master Christopher Yohmei Blasdel and Sasha Bogdanowitsch make their Atherton debut with an evening of songs played on the shakuhachi and pan drum. Swing to the Latin and salsa rhythms of Freddie Miranda, Jr., drummer and percussionist extraordinaire. Originally from Puerto Rico, Freddie trained and eventually became professor of percussion at the Conservatory of Puerto Rico's prep school. He has performed and recorded all over the world with such luminaries as Luis "Perico" Ortiz, Bobby Valentín, and Ray Barretto, and has also shared stage with all-time greats like Sammy Davis Jr. and Maynard Ferguson. 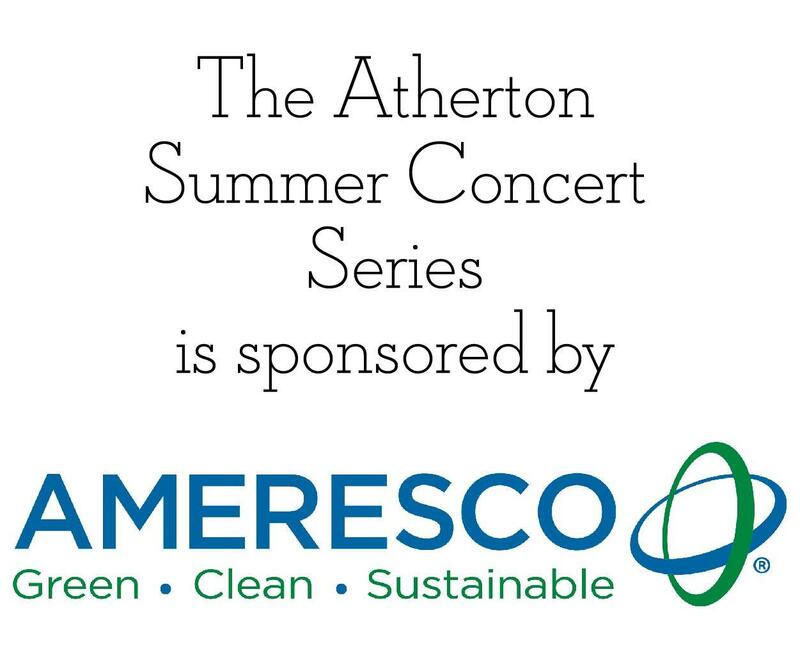 The Atherton summer concert series is sponsored by Ameresco. The Atherton Studio seats up to 75 people and hosts intimate performances that are often like sitting in on a studio recording session. All concerts are on Saturday evenings at 7:30 pm, unless otherwise noted. Advance ticket purchase is strongly encouraged, as Atherton events frequently sell out before the performance date. Welcome to HPR’s Atherton Performing Arts Studio. The Atherton Studio seats 60 to 75 people and is home to a magnificent Bösendorfer concert grand piano. The intimate performances are like sitting in on a private studio recording session. All concerts are on Saturday evenings at 7:30 pm, unless otherwise noted. Advance ticket purchase is strongly encouraged, as Atherton events are frequently sold-out before the performance date.